All Seasons Resort Barbados is a tranquil, relaxing 3 star hotel resort on the platinum west coast of Barbados. We provide an authentic West Coast Barbados holiday without breaking the bank. You will stay in your own 750 sq ft private apartment surrounded by hundreds of palm trees on our 4.5 acre resort, situated moments away from the crystal clear waters of the West Coast of Barbados. All apartments at the All Seasons Resort Barbados have a fully equipped kitchenette, including cooking rings, oven, microwave and fridge. If you don’t feel like cooking, we also serve breakfast and have the Asian Spice Indian restaurant on site that serves delicious evening meals. The beach, supermarket, local boutique shops, bars and restaurants of Holetown are only a few minutes walk away. If you don’t feel like walking, we have a regular shuttle bus which can take you anywhere within a few miles of the resort. If you choose to hire a car to explore the island further, each apartment also has its own parking space. 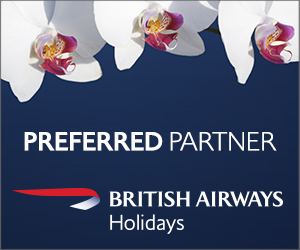 When you stay at the All Seasons Resort you also receive a discount card for several of the local shops. To find out more about the local area and the discount card, please see our Nearby Attractions page. 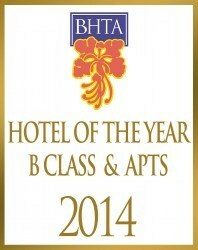 We are delighted to have won the Barbados Hotel and Tourism Association Hotel of the Year (B Class apartments) 2014. The award was in recognition of the All Seasons Resort’s continued excellence in the quality of our product and service; particularly following the refurbishment of our rooms and our Asian Spice Indian Restaurant. We strive to provide the most affordable West Coast Barbados hotel without compromising on quality, and are delighted to have received this recognition of our achievements. Why stay at the All Seasons Resort Barbados? We pride ourselves on creating a relaxed, soothing setting where we go beyond simply a hotel and become your “home away from home”. A place where you can relax in your own apartment, and unwind in our 4.5 acre resort with all the facilities you may want on a holiday. We create a tranquil Barbados hotel were you can explore the rest of Barbados freely and discover paradise at an affordable price. #SportingBarbados The annual Sir Garry Sobers Festival of Golf takes place May 3-5, giving you an exceptional opportunity to enjoy the very best of Barbadian golf, mixed relaxing backdrops competitive play and camaraderie! In addition to beachful beaches and a range of cultural, heritage and outdoor attractions, there is a long list of annual Barbados festivals and significant events that help to attract tourists to the island known as the land of flying fish and birthplace of great rums. In fact, approximately 1.5 million people visit the Caribbean island of Barbados each year; 45% are stay-over tourists, and 55% are cruise ship passengers.